The guide bearings of pump turbines are made of thin oil lubricated adjustable block pasteurized tile lining or barrel type babbit alloy lining structure. The guide bearing adopts a mature structure and should consider the same characteristics in the two rotation directions of the unit. The main shaft seals should be checked, adjusted, repaired and replaced without dismantling the guide bearings. 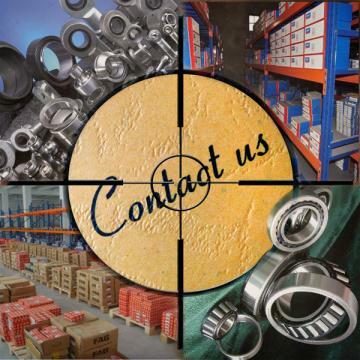 They should be prevented from entering the lubrication system of the guide bearings, and the guide bearings are not allowed to drain oil, spillage and oil. The guide bearing oil tank shall have an alarm signal device for oil level and an alarm device for mixing oil water. The design of the oil tank should take into account the structure of easy sampling of oil. In the convenient location, an oil drain interface and hand valve shall be provided with oil sampling points. The allowable maximum and minimum oil level in the fuel tank shall be specified. The shaft collar and axle of the water guide bearing should be processed integrally. The tank should select a unit to provide transparent fuel tank cover made of plexiglass, so that the lubricating oil movement in the tank can be conveniently observed during the commissioning period. The water guide oil bottom should be repaired from the lower part and disassembled individually without dismantling the water guide tile. Oil tank seals should be made of fluorine rubber material. The guide bearing body should be made of high quality steel. The guide bush should be made of high quality material with the smallest deformation and mechanical deformation. The tile surface can be cast into Babbitt alloy. The joint of the Babbitt alloy and the bearing body should be inspected by ultrasonic flaw detection. At least 99% of the contact area can be recognized as qualified. Under normal running condition of pump turbine, the temperature of Bearing Bush should not exceed 70 degrees, and the bearing oil temperature should not exceed 50 degrees. When the rated load of the unit is running normally and the cooling water is interrupted within 10min, the bearing bush must not be burnt. Bearings should be able to withstand maximum runaway speed 5min without damage. Guide bearing cooling adopts forced external circulation cooling method, oil pump and oil filter shall be used for equipment, the number of oil cooler should be n+1, n is to meet the rated capacity of the oil cooler, the oil cooler is designed to be easy to dismantle and overhaul, and the work must be safe and reliable. The installation position of the circulating cooling device should be lower than the bottom surface of the water guide oil pan, and should generally be arranged on the volute shell of the ball valve. The cooling water is taken from the technical water supply system of the unit. The design pressure of the oil cooler according to the suction height should not be less than 1.6MPa or 2.5MPa, and not less than the maximum transient working pressure and possible residual water hammer pressure. The static pressure test should be carried out according to 1.5 times design pressure to maintain the 30min, then the pressure will be reduced to the design pressure and maintain 30min. During this process, no damage or leakage can occur to the cooler. When running normally, the water pressure drop of the cooler should not exceed 0.05MPa.